Tools of Ignorance or Masters Degree in Strategy? Avid fans are also likely aware of the fact that ex-catchers dominate the managerial role in Major League Baseball. The 2014 MLB World Series is upon us. Both managers in this years fall classic are ex catchers – Bruce Botchy of the San Francisco Giants and Ned Yost of the Kansas City Royals. It’s not a coincidence. Catchers are accomplished strategists and team leaders. Baseball loves statistics so let’s start with some numbers. 43% (13 of 30 teams) – Former catchers in 2014 managing MLB teams. Surprised? I’m not. The “tools of ignorance” are anything but. Catchers play a unique role on the team. Analysis is a constant – every pitch, out, inning and game. They spend their careers behind the plate evaluating a series of “what if” questions, instantly profiling scenarios and making decisions designed to reach the best potential outcome. Like chess, baseball is a very situational game but with a much higher degree of personal interaction. Experienced catchers see the little things that make a difference in a game and in a series, both physically and psychologically. Those that pursue, excel and embrace the position are rewarded with an advanced education in tactical strategy and relationship management. Ned Yost and Bruce Botchy are this year’s World Series examples. Nothing in this world has universal appeal. 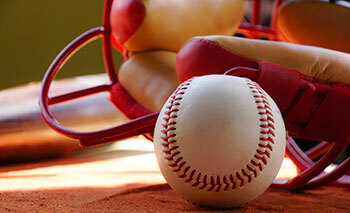 For some, watching baseball is the equivalent to watching grass grow. I’m not in that camp. I watched the grass grow from behind home plate where I grew up, matured and reached middle age. I’ve loved baseball for as long as I can remember. I grew up in the endless summers of Southern California where rain is rare and the worst of winter is the equivalent of fall in most other parts of the United States. Borrowing liberally from Roger Kahn’s book title “The Boys of Summer,” I was one of those boys, playing virtually every day as a kid. And I didn’t stop until I was forty-something. Not everyone appreciates the impact participation in sports can have on a life. Athletics teach many, many things and the lessons are different for each sport, and each participant. I can only speak for myself, but in retrospect I leverage what learned from decades of baseball and catching every day – professionally and personally. Teamwork – success and winning is directly proportional to how a team works together. Take care of teammates and they take care of you. Model scenarios quickly – every action has a reaction. Consider your goal, the likely outcomes of alternative options, and then make a decision. Leadership & communication – as catcher you’re view is unique to your role and position. Decide on the plan, communicate adjustments and ensure everyone understands the situation. Achieve this, and everyone is a better contributor. Trust your instincts and improvise when needed – situations often do not go as planned. Let go – learn from mistakes but don’t dwell on the past or what you can’t control. Perseverance – don’t give up, anything can happen even if it seems highly unlikely. Watch for and recognize the little things – they are important clues to improving future decisions. Adversity – it happens. Deal with it. Confidence and optimism – believe in yourself and your team. Fear of failure cannot guide you. Trust – in team, teammates, family and friends. Respect and empathy – everyone is doing their best. Bad days happen and those having them feel as crappy about it as you do when you have them. This includes umpires. Relationships matter – particularly pitchers and umpires. The better your relationship with each, the better the outcome. Managing up – Umpires can be your best friend or your worst enemy. Pick one. Make everyone better – it’s part of the job and by doing so, the team is better. Please share. What are the important life-lessons athletics have brought you? This article was originally published on LinkedIn on October 25, 2014 during the World Series.